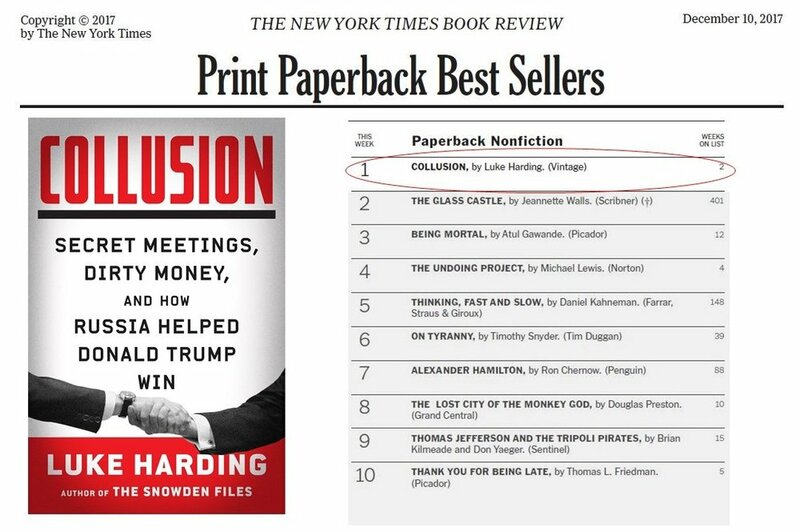 We're thrilled to share that Luke Harding's COLLUSION has reached the number 1 spot of The New York Times Paperback Non-Fiction charts in its second week of sales! Huge congratulations, Luke! Get hold of your very own copy here!